Orphek has a dedicated R&D team with more than 10 years experience designing high performance, high quality yet affordable LED lighting systems for hobbyists, public aquariums or large installations. 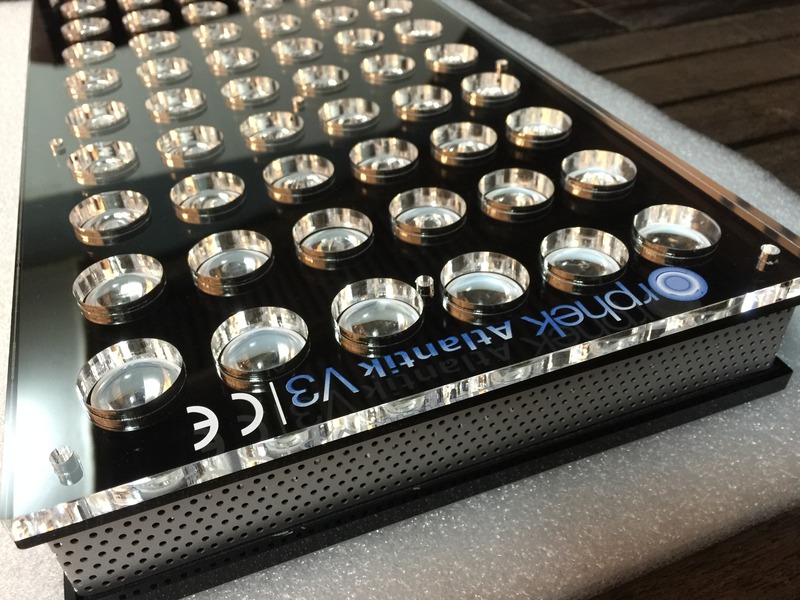 All Orphek LED lights are engineered with computer precision and are outfitted with the latest innovations in LED technology as well as high performance. Nine years later the Atlantik V3 Plus was developed and its performance has well exceeded the above specifications not only in a higher PAR per watt rating, but in functionality and ease of use. Why the Atlantik V3 Plus is the best light fixture available? All dual LED chip technology which offers three watt dual LEDs in one chip but is driven much less than the rated power for efficiency. Teaming up with this benefit is a spectral response curve fine tuned like a Rolex watch for fast and healthy coral growth. 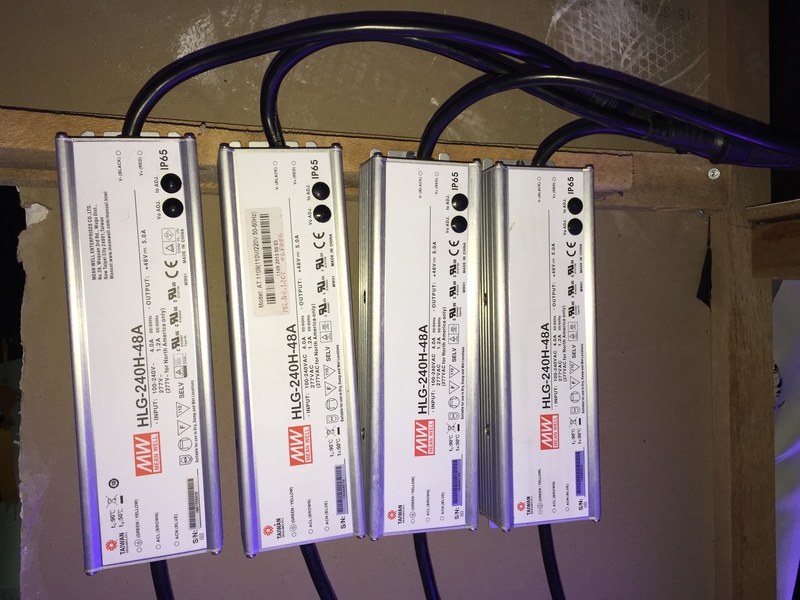 The use of the highly regarded MeanWell LED drivers complement the efficiency of the unit by offering nearly 100% power factor resulting in no lost or wasted power. 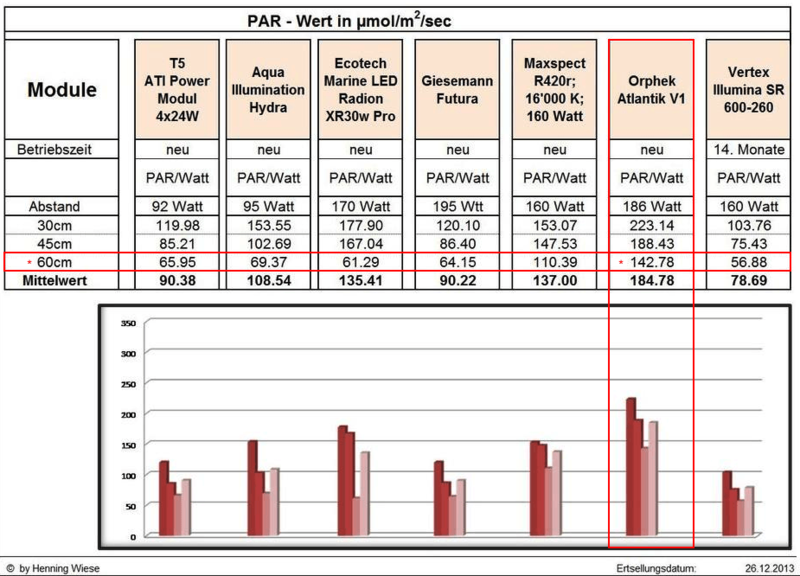 A new PC card has a total rated power output of 350 watts but we drive the lights with 235 total watts further increasing efficiency and longevity and still providing very high PAR. The Atlantik series uses individual optical quality lenses on each LED which evenly controls spread and eliminates hot spots and shadows often occurring with other brands of LED fixtures that use hockey puck or modular style LEDs. A first class ½ inch thick clear virgin acrylic face plate protects the lenses and LEDs from the salty environment and allows full intensity without sacrificing spectral quality. The robust extruded aluminum heat sink is the same size as the light fixture. 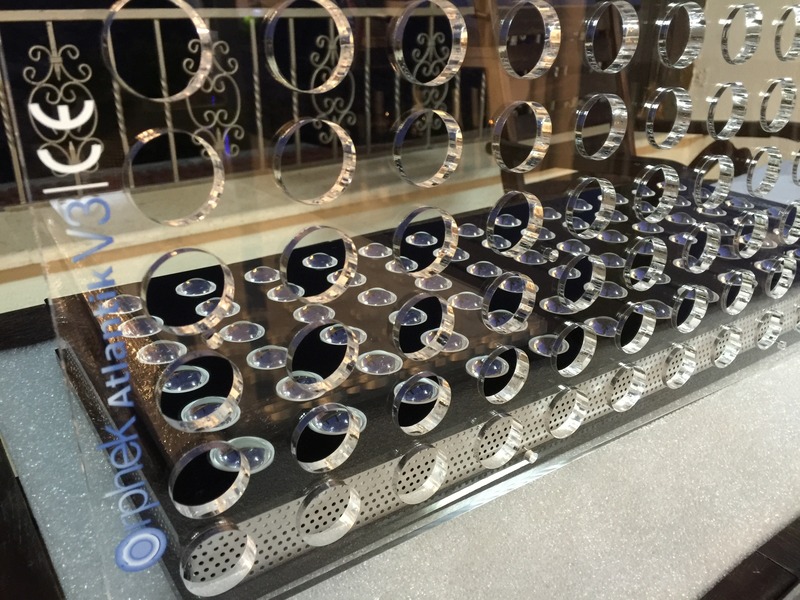 We use no shortcuts by installing inadequate individual heat sinks for each individual LED. 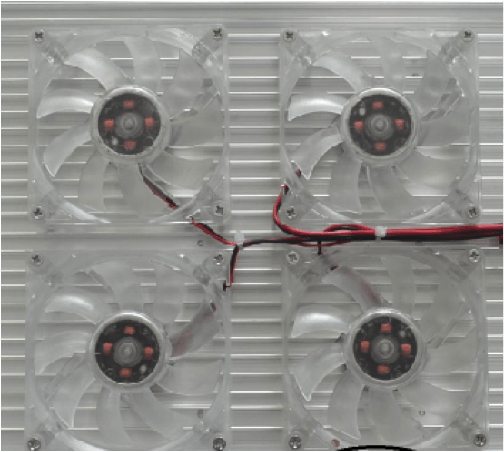 Four super quiet cooling fans disperse any heat out of the fixture to ensure a cool operating temperature, even at 100% intensity. To complement the functionality and safety of the unit, each cord is furnished with waterproof connectors to prevent any danger from water splash. If longer cable lengths are required, Orphek can supply 3 meter extension cables for a very modest cost. Its slim design fits into any decor. Only the highest grade and rugged components are used testified by its weight of 16.7 lbs/7.6 kg. All Atlantiks are upgradeable and will continue to be upgradeable. 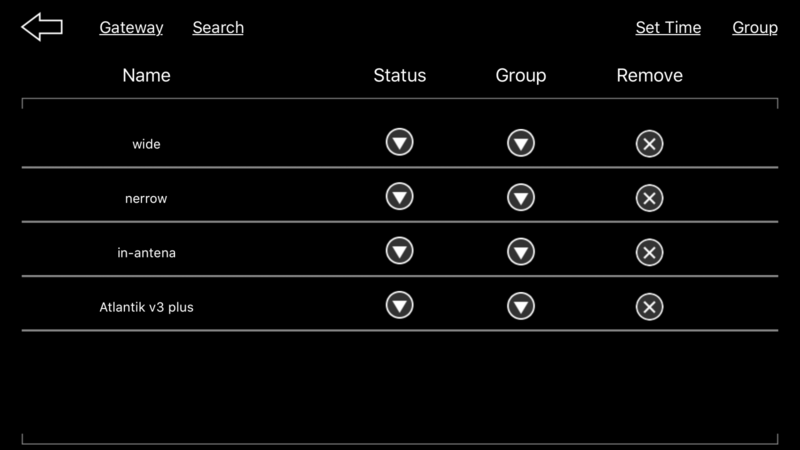 We have V1’s in the field that have been upgraded to V2.1, V3 and V3 Plus models. Our software and application have reached a point of perfection where set up of multiple lights is as simple as pressing a button. You can control and monitor the lights from any location where internet service is available. Our nine year reputation for building the best light for the cost has never stopped and we will continue to work to exceed our goals. 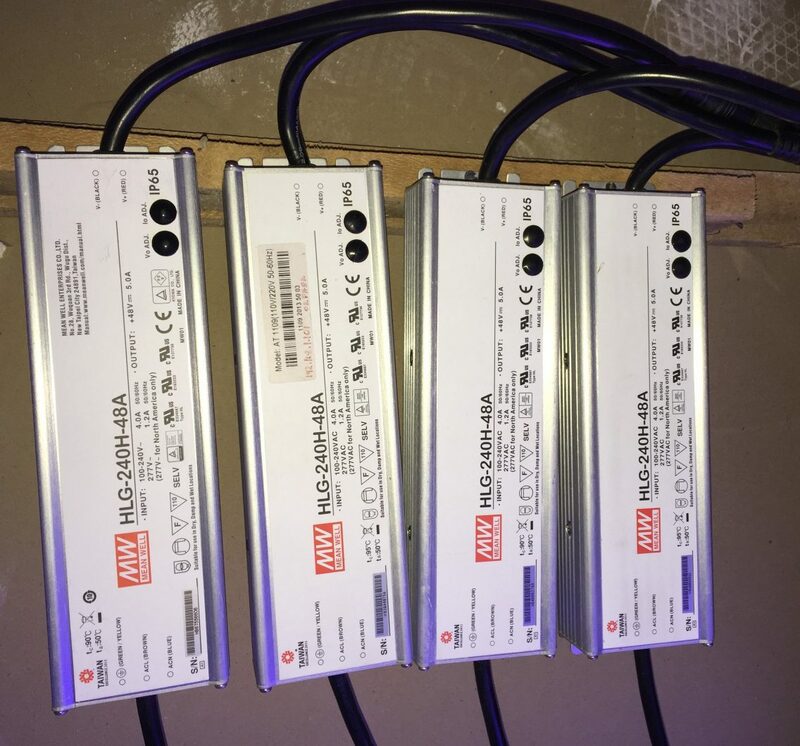 Need more information on Orphek LEDs for your tank? Just send an email with your tank dimensions to contact@orphek.com and an experienced sales representative will be happy to work with you so you can achieve your goals. 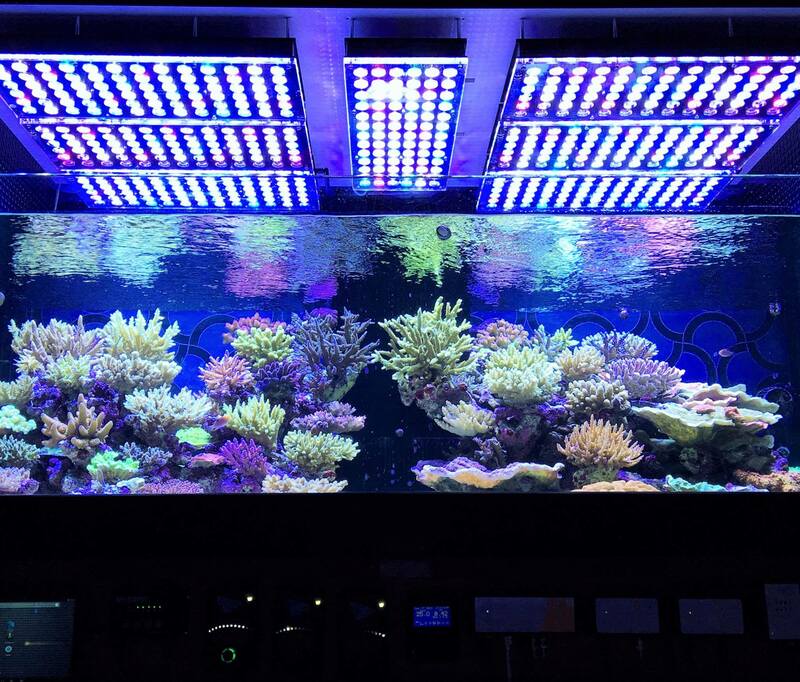 You’ve spent hundreds of dollars on our reef aquarium; don’t jeopardize your dreams by buying inefficient LED lighting.